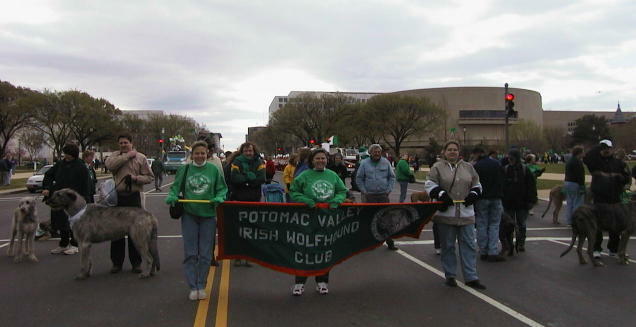 The PVIWC participates in 4 or 5 St. Patrick's Day parades each year, and a few at other times of the year, as well. Prospective club members are welcome to join us in the fun! We can always use help holding the banner (kids are especially good at this) or helping someone who brought multiple hounds. 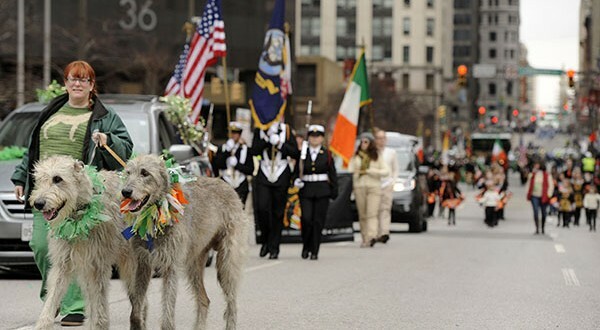 The PVIWC is proud to hold several awards for best dog unit in the DC and Alexandria parades! Photos of events can be found here.